Without a doubt, White Widow is one of the most infamous cannabis strains available on the market to date, and one of the most classic. We'll go through the potential origins of this crystal covered magnificence; the White Widow growing operation and the wonderful effects that she shall surrender to your mind. The origins of the legendary White Widow led many ganja historians into heated debates. The story behind this strain is highly intriguing and worth investigating. Two main theories are circulating in the cyberspace regarding the birth of this crystal filled delicacy; either Shantibaba or Ingemar De Sjamaan were the originators of the White Widow. We will cover both stories to present you the duel that has been going on for more than two decades. The White Widow strain was released in 1994 shortly after Shantibaba joined the Green House Seed Company as a founder with Arjan Roskam. Shantibaba explained that this magnificent strain derived from a Brazilian Sativa mother and a South Indian, Keralan hybrid father. Many speculate that the Brazilian mother is a pure old-school landrace by the name of Manga Rosa, which was very popular in Brazil for spiritual purposes and other endeavors. Allegedly, the Keralan father has a fascinating story behind his discovery. The extraordinary properties of the South Indian hybrid made Shantibaba pursue a safari, where he would end up smoking a joint with a man at a local café in India. After finishing the joint and chai tea, the man told Shantibaba that he has been cultivating a special hybrid on his farm. Shantibaba joined the man up into the Keralan mountains where his cultivating operations took place. At that moment Shantibaba realized that this man produced the hybrid that he was pursuing in the first place! Needless to say, it was meant to be. Shantibaba tested different genos and phenos that have been selectively bred for years based on their resin production. After searching for the perfect genetics, Shantibaba picked the ultimate South Indian hybrid that would become the father of the original White Widow. Due to a conflict of interests, In 1998, Shantibaba sold his half of the Green House Seeds Company to Arjan and left for Switzerland, where he and Neville Shoenmakers would work together developing the Mr. Nice seed bank; while having the actual Mr. Nice (Howard Marks) as their frontman. Shantibaba took the parents of the White Widow with him. He started breeding them again and the White Widow came into light, again. Although, the name needed to change since Arjan was already marketing the White Widow; that’s how Black Widow was born. 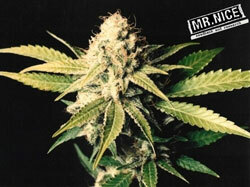 Yep, allegedly, Black Widow by Mr. Nice seeds is the original White Widow, since it comes from her original parents. Several hybrids that derived from the "White" genetics have cemented their names in the ganja hall of fame such as the White Rhino (Medicine Man) and the Great White Shark (Shark Shock). There is another breeder named Ingemar De Sjamaan that is the alleged creator of the White Widow, according to German cannabis magazine “Grow” and Arjan Roskam himself. The claim is that Ingemar found two seeds around 6 years before the White Widow’s release, which would be fundamental to the White Widow genetics. Ingemar's and Shantibaba’s versions are of different pedigree, which means that they are, allegedly, totally different plants. Arjan claims that both he and Ingemar created the White Widow in the early 90’s which went by the name of Arnhem's Wonder, which won the High Life Cup in 1989. Ingemar does not disclose the parents of the White Widow, although many swear by the truth of Ingemar's fatherhood of this world renowned strain. Both theories sound very colorful and convincing. It’s important to keep in mind that the claim of being the originator of the White Widow, is fantastic for marketing and brings in the big bucks due to White Widow’s popularity. Many breeders claim to deliver the original White Widow, therefore much skepticism is required. Either way, both Mr. Nice Seeds’ Black Widow and Green House Seeds White Widow have generated some extreme dankness, enjoyed by plenty. WHY DID THE WHITE WIDOW STRAIN GET SO POPULAR? Once consumed, it’s hard not to understand the harmony that the White Widow delivers. White Widow's popularity has several explanations. First, it’s unquestionably a very dank strain. Second, the popularity of White Widow arose when it stood victorious at the High Times Cannabis Cup in 1995; many strains began their path of commercial success with the HTCC gold medal. Third, it’s important to note that Green House Seeds Company had and has a great market share and influence on the cannabis culture. In general, any strains adopted by Amsterdam’s seed entrepreneurs about 2-3 decades ago had a great chance of getting into the mainstream, due to Amsterdam's ganja reputation. Arjan Roskam is a top-dog in the cannabis industry, the media coverage he receives can’t be matched by any other seed company founder in the world. Due to the millions spent on marketing and Arjan being a professional marketer himself, the White Widow is spread across the globe together with his success, which catalyzes competitor seedbanks to market their versions of WW. Before getting into the details of growing the White Widow strain, it’s important to take into account the aforementioned facts regarding WW's popularity. 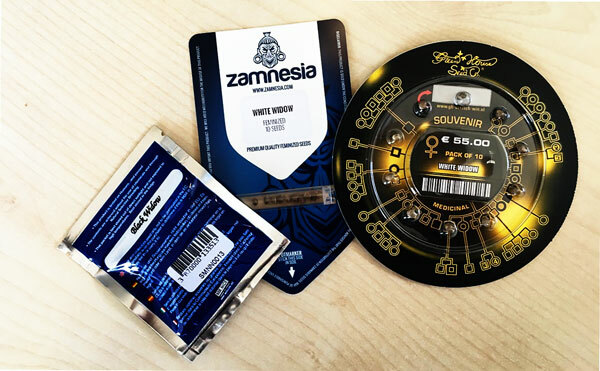 Almost every established seedbank has White Widow on their menu, which can greatly differ in genos and phenos. So we'll look into the Green House Seeds' White Widow genetics and go from there. The flowering period of the plant ranges from 8 to 10 weeks, and returns range between 750g/m² from indoor grows to 900/m² from outdoor harvests, which is a monstrous amount. White Widow grows well in mild and temperate areas; so, in the northern hemisphere, above Spain and below Scandinavia will do. Also, time it right, the White Widow should be done by the end of September, in the northern hemisphere; in the southern hemisphere, from March to April. She is well suited advanced training techniques, and her top-class genetics make her an excellent learning strain, helping novices and veterans alike hone their skills. WHAT ARE THE EFFECTS OF SMOKING WHITE WIDOW CANNABIS? White Widow has some pretty potent effects! The THC levels can reach over 18%, which is considered a solid amount. The indica genetics will relax you into the couch before the sativa energy boost kicks in. It is fast hitting, long lasting, and extremely pleasant! Just be cautious if you are a novice user, as it can easily overwhelm the unprepared! So here you have it! All you need to know for your next White Widow smoke session; you can impress your friends with the origins of the White Widow and enjoy the sweet high which this legendary strain will provide. 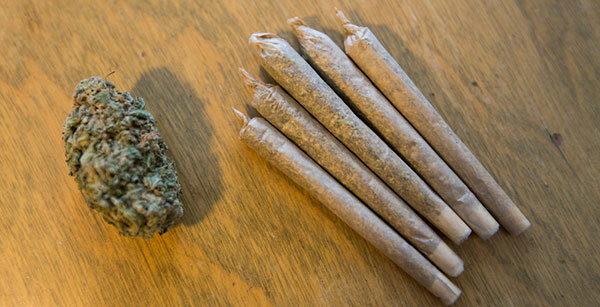 Now, you can return to your cave if you wish, just bring some friends and that White Widow!